The Doctor takes Clara to the inhabited rings of Akhaten, where the young Queen of Years faces a ritual that may require she sacrifice her soul to a slumbering god. Last edited by Darren; April 7th, 2013 at 10:43 PM. Hmm, not as good as TBOSJ, but still quite good. 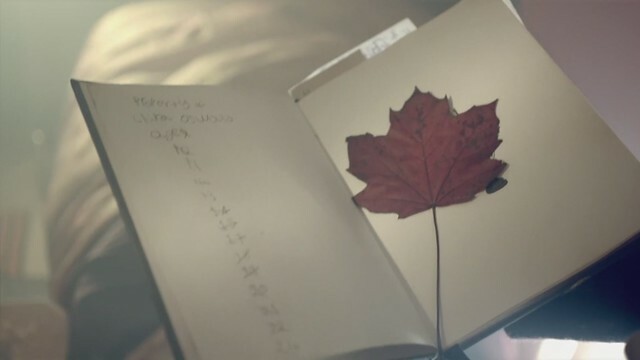 Nothing really to add from the Clara mystery, but nice to see how the leaf came about and how it was used to save the day. Nice to see so many aliens in one place too. Looking forward to next week and the return of the Ice Warriors! Meh, decidedly average I thought. Wouldn't mind a space moped though. To the night and its stars, to the here and now with who we are. And if it's all we only pass this way but once, what a perfect waste of time. A bit hand-wavey science-fictiony. But it seemed that Guilermo Del Toro's production designer has been spending his holidays at the BBC..., along with the bloke who designed the Cantina in SW ep4:ANH. That was a beautiful episode both aurally and visually. I can't wait for series 7 CD to come out. The story itself wasn't too special but the visuals were so stunning I wasn't particularly bothered about it. What a shame The Mill is closing down it's TV special effects department. The Doctor's speech nearly had me in tears. Well done Matt Smith. I thought it was interesting the Doctor says she reminds him of someone who died. Also that in the flash back to Clara's childhood we never see her Mum pregnant. Both fit with my River theory. Last edited by Blencathra; April 7th, 2013 at 03:06 AM. Hmm. That was okay I suppose, but I found about halfway through I wasn't paying much attention, instead preferring to check my emails or read the Mass Effect wiki. I hope this picks up a bit soon, because I wasn't hugely impressed with the first half of series seven if I'm honest, not compared to most of the prior seasons. Though I'm glad to be rid of Amy, I'm not sure I like Clara all that much - not that I dislike her per se, but she doesn't seem that interesting or interested and while this may well be part of her story the mystery surrounding her just doesn't have me intrigued. And now it's time for one last bow, like all your other selves. Eleven's hour is over now... the clock is striking Twelve's. I enjoyed the music in this episode, but I found the story a bit meh. At least we know a bit more about Clara's story. I see the Doctor is now quoting from Blade Runner.." Home Again Clickety Click". "Jiggety jig" actually, but yeah. And we almost got Rutger Hauer's "I've seen things you people wouldn't believe..." speech. So..... was this doctor who's dreaded musical episode? Have to say was not impressed! I assumed that the sacrifice was fatal hence all the fuss about saving the girl, and how exactly does one feed off things that could of been? I did like the nods to Indiana Jones. Episode on a whole was average, but I really liked the ending! Especially the doctor facing the God. Guess that explains the leaf. The Doctor asked Clara what she had been doing... what has he been doing? 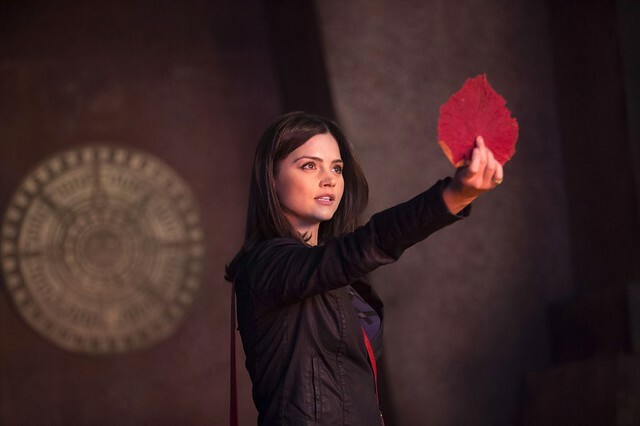 Yes Clara, give the dog alien your ring so we can get the scouter and we can have a nice emotional scene... it's not like The Doctor has a TARDIS he could use instead... oh wait a moment. Also, just give her the screw driver, the TARDIS can just give you another one! That was a beautiful episode both audio and visually. I can't wait for series 7 CD to come out. The story itself wasn't too special but the visuals were so stunning I wasn't particularly bothered about it. What a shame The Mill is closing down it's TV special effects department. "Beautyfull" is exectly the word I thought about. It's true there story itself wasn't that special. But that's what I like about it. I've always thought I like to see one or another eppisode where they manyly treval, whithout saving the universe. I can see why some people don't like this ep I thiks it's a good contrast to teh speed of last week's episode. *dries tears* It made me cry. The speech, the song, the mood (don't care if it was cheesy). yeah, I noticed that. Mabe we'll see. Oh, I'm still not used to havving to wait a whole week till the next episode. Nobody asked me, if I wanted to live. So don't anyone tell me how I shoul lead my life. I liked the music and the Doctor's speech. Otherwise... meh. Save a Man-of-War, ride a Commodore. At one point I realized that I was actually bored, which surprised me more than anything that happened in the episode. It looked and sounded really pretty, but way too many things went from suspenseful to "oh get on with it." Also that in the flash back to Clara's childhood we never see her Mum pregnant. Both fit with my River theory. Well, we never see her changing nappies, but I guess it did happen... tricky to show the entire 24 years in flashback. Heck, we didn't even see the wedding IIRC. Must admit, it was a bit slow, though not everything can be break-neck the whole time. I didn't see the post-mummy switcheroo coming. As for "could have been", isn't that what Weeping Angels consume, potential time/energy, so why not a god? I am so feaking mad. The audio track was off by 2 or 3 seconds so none of the dialogue matched their mouths. URRRGHHH. Totally ruined the episode. Why did you do such a thing, you mediocre dunces? Speaking of Clara's mum, who else noticed her maiden name? Ravenwood. It was on the book Clara was holding (and crying on) as she stood by her mum's grave. Does this mean that Clara's related to Indiana Jones? I noticed. And that Clara's parent's are called Ellie and Dave. Such a lot of leaf, tree and forest references. BTW Ella was the name of Donna's daughter in The Library (Forest of the Dead) and of course Other Dave and Proper Dave (who turned out the lights!) ended up downloaded into the Library as well. Edit - Incidentally I don't actually believe that Proper Dave & Ellie are the real parents of Clara. Just that certain things are bleeding through to this world from The Library, names being one of them. Last edited by Blencathra; April 7th, 2013 at 02:25 AM. I didn't neither of it. In what way was there an Indiana Jones refference? It's been ages since I've last seen it. Last edited by Greenee; April 7th, 2013 at 06:43 AM. The other Indiana Jones reference was when the Doctor dropped the Sonic Screwdriver as he slid under the rapidly descending stone door, then grabbed it at the last moment.